Okay, okay. 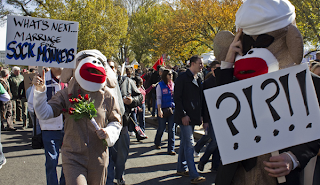 I know, the Jon Stewart and Stephen Colbert RALLY TO RESTORE SANITY and/or Fear happened five days ago. But in an effort to be sane, I'm just getting to this now. Breathe with me, people. And as this reddit chat thread flamed on, there were some funny (and be aware, profane) moments, including these two, "BURN ALL THOSE WHO MAKE AND CONSUME FIG NEWTONS! 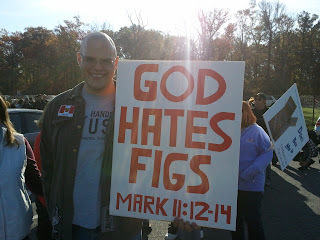 THEIR BLASPHEMY MUST NOT GO UNPUNISHED!" and "... He might have just been making a comment. Along the vein of him stubbing a toe on a chair and going, "Ow, the chair hurt me!" and his disciples writing down that chairs are cursed and will harm their human makers and then go along and destroy all chairs. 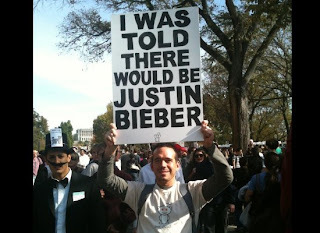 Oh religion..."
How much do I love that there's a cute guy holding this sign? I found these among the gems pictured here. I'm glad his voice is being heard. We could use some sanity. 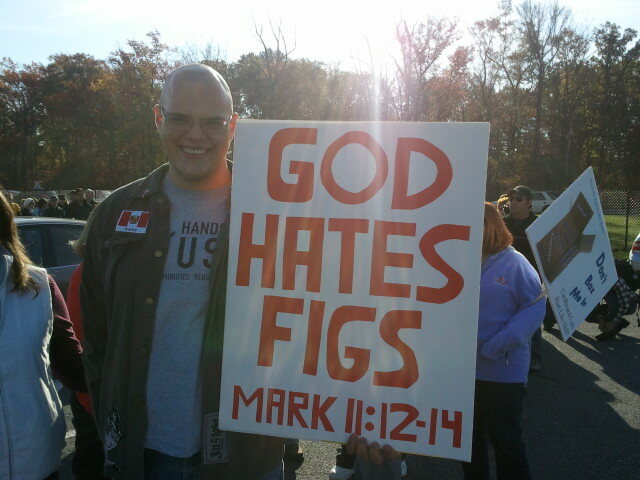 These really made me laugh, especially "God Hates Figs." Loved that Stewart video, too. Thanks for sharing. Thanks for sharing this. 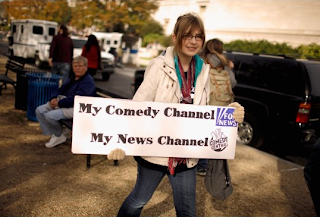 I had not been able to see any of the rally coverage, so it was nice to see this part. 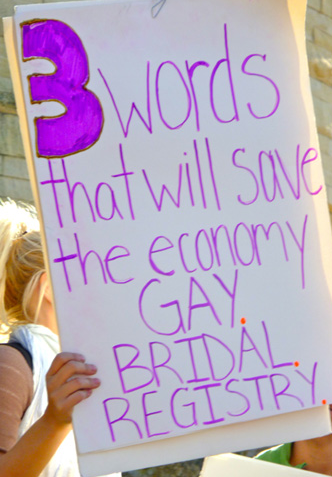 And my favorite sign is the one about the bridal registries--a potential growth industry if there ever was one. I've been laughing myself crazy with all these. I really wish I'd been able to go to the rally. The Sock Monkeys one is my personal favorite, but that's mainly because I have a massive and irrational love for sock monkeys. For the record, I am totally okay with the idea of marriage for sock monkeys.